LP version. Includes printed inner sleeve, lyric sheet, and download code. Die Goldenen Zitronen ("The Golden Lemons"), born a punk band in 1980s Hamburg and since developing into a seminal art punk collective, present their 2015 album Flogging a Dead Frog. 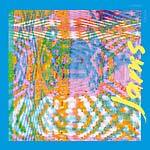 After 11 long-players and countless collaborations with artists such as Peaches, Wesley Willis (with whom the band toured the US), Chicks on Speed, Françoise Cactus (of Stereo Total), Mark Stewart (of The Pop Group), DJ Koze, and Michaela Melián, Flogging a Dead Frog is their first release on Altin Village & Mine. The album collects instrumental and, for the first time, English reworkings of songs from their most recent albums. 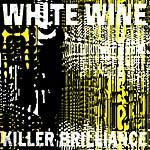 Far from being a complacent "best of," the album directly plugs into the band's impressive body of work. Flogging a Dead Frog unfolds a re-contextualization in two senses. First, its instrumental tracks emphasize the fact that the band's sound has always been much more than a musical accompaniment for the unrelenting social commentary of singer Schorsch Kamerun, bringing out the band's tremendous nomadism between punk, techno, and krautrock and mirroring the diverse engagements of the six members in theater and film projects. On the other hand, in the English versions of songs such as "If I Were a Sneaker," a song about European immigration policy, or "The Investor," Flogging a Dead Frog proves a consequent re-adjustment of the band's political scope, opening discourse on matters that have disastrously proven to not be exclusively pertinent to Germany. 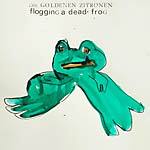 As is typical for Die Goldenen Zitronen, these two perspectives -- one concerning the band's oeuvre, the other its environment -- are inseparable and testify to their political aesthetics, a political aesthetics of which Flogging a Dead Frog is not a review, but a substantial extension.